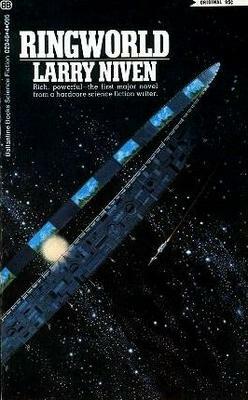 Fleet of Worlds, my first collaboration with Larry Niven, got rave reviews, was a Prometheus Award finalist, was a Science Fiction Book Club featured title, and -- though we wrote the novel to stand alone -- morphed quickly into a series. 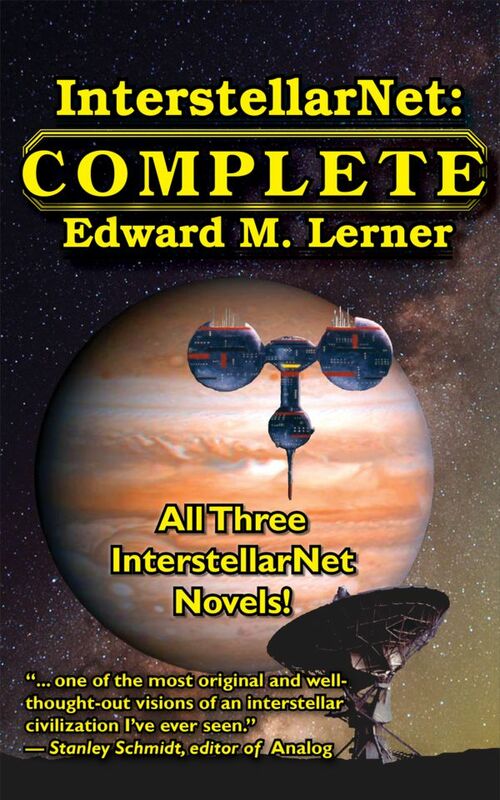 Most major-publisher titles these days come out in hardback, mass-market paperback, and ebook formats; I was delighted when, four years after Fleet first appeared, Tor Books reissued the novel in trade paperback format. 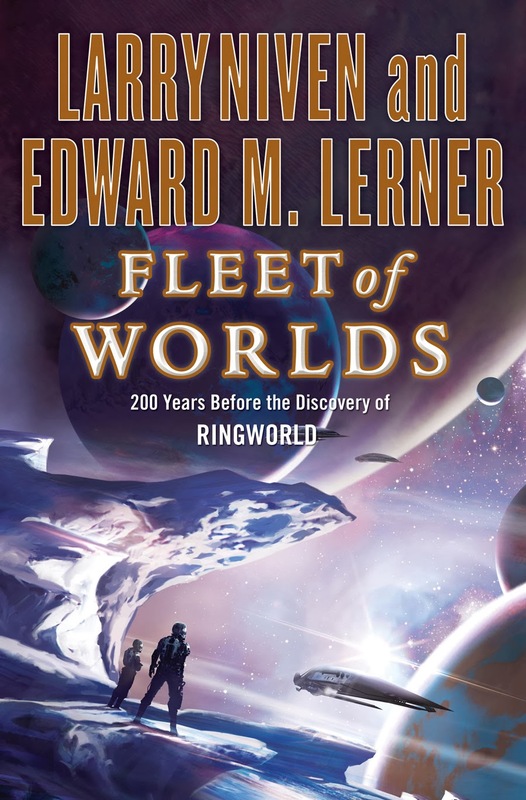 So: I'm yet more delighted that today -- not even two years after the original publication -- Tor Books is re-releasing Fate of Worlds: Return from the Ringworld, the final book of the series, as a trade paperback. It's not that the novels between (Juggler of Worlds, Destroyer of Worlds, Betrayer of Worlds) aren't successful -- they are. They just haven't, as yet, made it to a trade paperback re-release. Why/how did Fate jump to the head of the TPB re-release line? My theory? It's because Fate does more than conclude the Fleet of Worlds series. 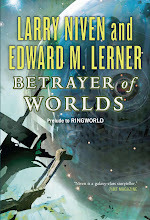 Fate is also the finale to the Ringworld series. (Name the SF award, and Larry's Ringworld won it.) Read one series or both; either way, Fate -- without hyperbole -- is the explosive conclusion. Curious? 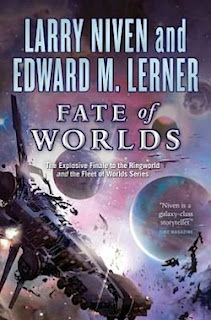 I blogged about Fate of Worlds on the day of its HB release (There is no fate (of worlds) but what we make ourselves) and a year later, with several choice reviews (Fate of Worlds: the MM PB). For more than this post's scattered teasers about the series, you can check out Of fleet Fleets and Known Space. For a bit more about any specific title, click the cover thumbnail in the right-hand column. Of the 5, Juggler of Worlds is my favorite. Though the villain of the first Niven I ever read, I've always kind of liked the Sigmund Ausfaller character. Thanks, Todd. I gotta admit ... Sigmund is my favorite, too. 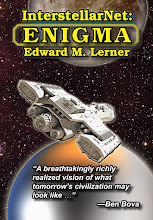 I have just finished the whole Fleet of Worlds saga and I just want to leave you a message saying how much I enjoyed it. While I've been particularly busy lately, I made time to continue reading just because of how compelling it was. It was a relief to cast aside my problems and delve into the realm of New Terra and the Puppeteers on Hearth. The surprising part to me was just how well defined the characters in the series were. Often hard Science Fiction tends to give characters a back seat. Sigmund and Louis were great, but living through the eyes of a Puppeteer and even a full Pak Protector was amazing. I found the Gw'oth notably fascinating, especially understanding how the fully melded Ol't'ro processed thought. It very much was in insight into a culture from another world. There seems to be a bit of a upsurge in Science Fiction movies recently; Fleet of Worlds specifically would be an excellent candidate for an adaptation. It's probably only recently that the technology has made such a film viable without an unfeasibly large budget. I don't know how you feel about these adaptations, they can turn out very bad sometimes! Once again, thank you for the saga. It is something that is now very special to me. Seeing how rapidly these books were released to each other gives me awe at just how huge of an undertaking it must have been.